THERE ARE SOME CITIES designed for speed. Designed solely with subways and express buses and monorails in mind. Designed to serve the idol of modernity and its quest to keep you distracted, overstimulated, and surface-level. These are not those cities. These are cities meant to be strolled through. Cities meant for your two feet, armed with the proper pair of airy yet sturdy footwear, to carry you into serendipitous alleyways and off-the-map local dives. These are also photogenic cities, and the pictures below are enough to make you want to X out of this tab and go book a plane ticket. But the prospect of getting to know these places? Reading the stories their streets and sidewalks and secret staircases have to tell? That makes it even harder to resist the urge to get up and go. L’art de flâner, or the art of the stroll, is something that’s appreciated in Montréal — so much so that the city has multiple “pedestrian streets” where cars aren’t welcome. Combine that with its notable history and architecture, and Montréal has a well-deserved spot on this list. Walking around, you’ll be swept back to the late 17th and early 18th centuries at the Cathedral-Basilica of Notre-Dame de Québec and Château Ramezay; you’ll see the footprint of the Industrial Revolution in the old factory, warehouse, and mill buildings; and you’ll run into controversial 20th-century architecture like the Olympic Stadium and Habitat 67. Start on Saint-Paul Street East in Old Montréal and work your way toward Chinatown to experience the colors of this complex city. Edinburgh has over 4,500 listed buildings in the city limits — buildings of architectural or historical interest — which is more than any other city in the UK. With its Old Town and New Town (“New” meaning 18th century here) competing for your attention, this is one city that has to be seen on foot. Yes, it ripples out over seven hills, but the climbing is worth it. For the best vantage points, find Edinburgh Castle at the western end of Old Town, or walk east of the university and up to Arthur’s Seat for a view of the city’s skyline, which looks straight out of Harry Potter. Even New Town has Georgian buildings and antiquated alleyways that deserve gawking over — and you’re not going to find them in a taxi. Beyond the city’s rich history, one aspect that helps Munich stand out on this list is its walkable attitude. At crosswalks, you’ll find cars often yielding to you, sometimes even without a signal. This leaves you free to explore 10 centuries of history and architecture from ground level. You’ll see the site of an 8th-century church, clink heavy mugs at the Hofbräuhaus, see statues covered in WWII bullet holes, and walk through the Englischer Garten, a green space larger than Central Park. Munich is a city sprawling with culture, and its in the teeniest of details where it truly shines. While some will tell you that being a pedestrian at rush hour in Seattle is asking for trouble, the city still makes it onto this list for two main reasons: It has an official plan to become “the most walkable city in the nation,” and as far as booming cities go it still manages to be beautiful. Make your way to the Waterfront — just west of downtown — and it’ll all make sense. Or walk up to Kerry Park in Queen Anne for your quintessential Seattle selfie and as good a view as just about any city can offer. Wander the streets for hidden coffeeshops, open-air markets, and people watching. Yep, to feel the true vibe of this city, it has to be on foot. The birthplace of the Renaissance. The Athens of the Middle Ages. The River Arno backdropped by the Apennine Mountains. You’ve seen the Duomo, even if you don’t know it by name. All this beauty is concentrated in a city so old it was literally designed for walking. The palaces, bridges, and squares are made to be taken in from the pavement. And how else are you going to pick a restaurant besides poking your nose through the door? On first glance, it seems insane that Paris be on this list. This is a city, for example, whose historic squares have long been transformed into congested intersections — but that’s changing. Seven major intersections in Paris are now being redesigned; Place de la République made the switch in 2013, and it’s now 50% reserved for pedestrians and cyclists (and covered with trees). The rest are set to follow suit, and the initiative has proved quite popular. Additionally, the Champs-Elysées (“the most beautiful avenue in the world”) is closed to cars the first Sunday of every month to help Paris “breathe” — and to coincide with free admission dates to many of the city’s incredible museums. Paris is going green, and that’s good news for pedestrians. In 1929, George Bernard Shaw said, “If you want to see Heaven on Earth, come to Dubrovnik.” He certainly wasn’t talking about driving through or flying above. Dubrovnik sits on the Adriatic, a medieval city rising out of the water, replete with those classic orange-tiled roofs, winding streets, and a fortress and city walls — all of which is why it’s one of the filming locations for Game of Thrones. If you go, grab your Chacos. This is one city you’ll need comfortable footwear for, to walk the wall that runs 1.2 miles around the city, through the alleyways, up to Bokar Fortress, through Old Town to the oldest arboretum in the world, to Sponza Palace, and back again. Possibly the best-known spot in Marrakech (and maybe all of Morocco) is the sprawling plaza of Jemaa el-Fnaa. Moroccan tradition is said to collide with modernity here, and today tourists and tradesmen, snake charmers and entertainers coalesce here, proving the notion. A warren of souks full of rich golds and burgundies, spices, carpets, lanterns; “a honeycomb of intricately connected alleyways” — there’s no other way to experience it than on your own two feet. One of the “most livable” cities in the world is made so partly in thanks to its easily accessible escapes into nature — and that makes Melbourne prime habitat for walking and hiking. There are art trails, coastal views, islands, peninsulas, valleys — the “Garden City” is begging to be explored. It’s incredibly modern, too. Climb the 3,680 stairs to the Eureka Tower Skydeck (or, sure, just take the super-fast elevator) and step into “The Edge,” a movable glass cube that juts out from the building, suspended almost 1,000 feet above the ground. When you walk in, the glass is opaque; as it slowly moves out over the edge of the building, it becomes clear. It’s then that you can walk into the Melbourne sky, higher than any other building in the city. One of the world’s most compact cities is a natural choice for two-footed exploration — you can walk just about everywhere, and most people do (expect crowds). Street markets and open storefronts along Causeway Bay are just asking for a peek; the scents of fresh dumplings and ginseng are enough to justify the foot traffic. There are numerous routes that will help acquaint you with the city, but the one first-time visitors should take is around The Peak, a mountain comprising the western portion of Hong Kong Island. It’s an hour-long walk with epic panoramic views of the city, and nothing like you’re imagining — steep hills, open coastline to the south, dense foliage, and the sense that you’re in a separate, floating world, gazing onto the expanse of the metropolis below. Don’t take this the wrong way — but yes, there is an incorrect way to walk around New York. Spend too much time in Times Square, only see Manhattan, stop in the middle of the sidewalk, get lost in your phone — the list goes on for behavior that will earn you some serious side-eye. When you do New York right, it’s on foot. It’s a stop at the Museum of Natural History. The Frick Collection. MOMA. Bryant Park. The High Line. The Brooklyn Museum. Historic Richmond Town. Playwrights Horizons. And, of course, the epic food trucks of 53rd Street and 6th Avenue. It’ll take miles and you should make time for all five boroughs — you brought your Chacos, right? If Antigua isn’t yet on your list, update your list. The Guatemalan city is framed by three volcanoes, with the active Volcán de Fuego, or “Volcano of Fire,” spewing smoke on the daily. Though it should go without saying, there are some pretty epic hikes on all sides of the city. But Antigua’s history actually holds a candle to its geographic awesomeness — Spanish colonial architecture is still everywhere to be found, and the entire city is a UNESCO World Heritage Site. Wander the streets, keeping an eye out for the 15th-century San Francisco el Grande church, City Hall, and the Captain General Palace. Then follow your nose to the nearest chocolate maker — the city is almost as well known for this as anything else. Cities that were designed pre-cars are generally better for pedestrians, and Boston is a perfect example. As one of the oldest cities in America, its secrets lie in its nooks and crannies, and there’s no substitute for exploring them on foot. In fact, in some parts of town, you should only go on foot. The North End, Boston’s oldest neighborhood, is too narrow for cars to make much sense. There you’ll find colonial buildings and Italian markets, see the site of the Boston Massacre, and get as close as possible to what America was like nearly 400 years ago. Paul Revere’s midnight ride certainly wasn’t an Uber, and yours shouldn’t be either. 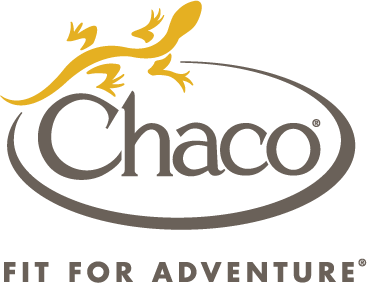 This post is proudly produced in partnership with Chaco footwear.